The SME SHR Rubber-Lined Series of rubber lined slurry pumps features a split-casing design with molded, replaceable rubber liners. The molded liner may be specified in a variety of natural and synthetic rubbers. 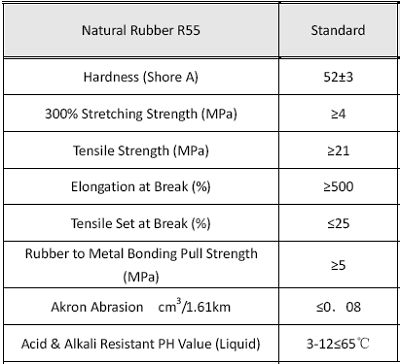 Natural gum rubber is standard. 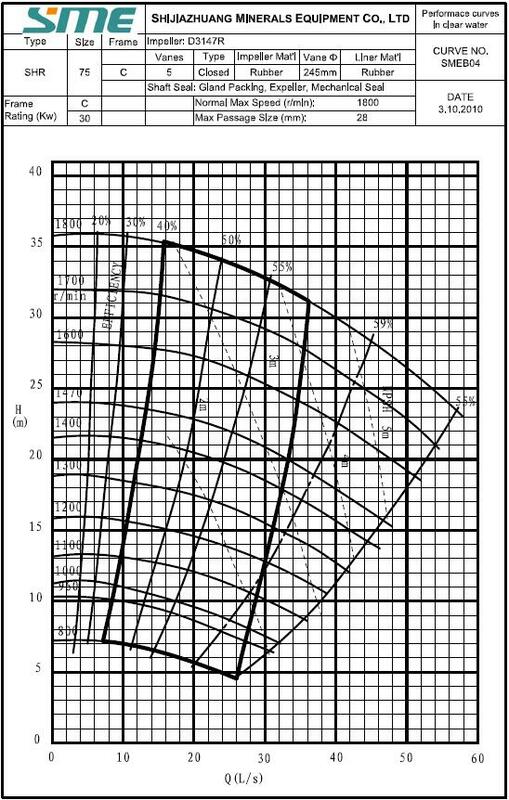 The liners offer a shore-A hardness of 30-40 with a tensile strength minimum of 2,700 psi (18 n/mm2). Double-wall construction with an outer grey-iron casing and inner molded-rubber liners. 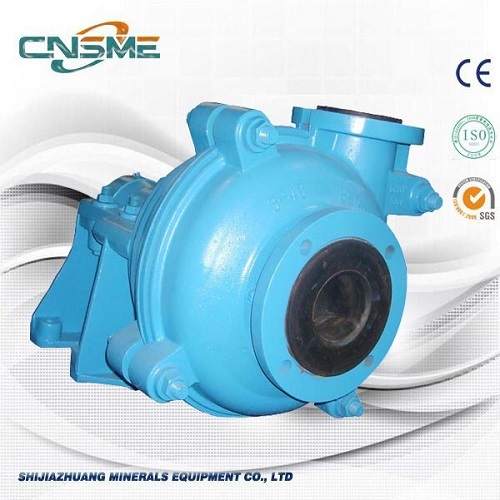 Rubber lined pumps are mainly used for cossosive slurries with pH value 2-5, and they are also used to pump silicon sand, and are used in glass factories. 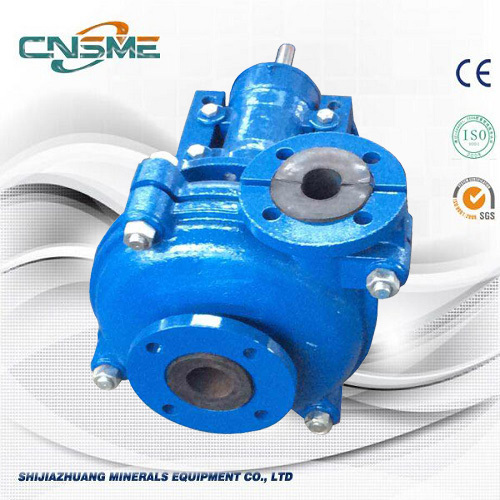 The heavy duty rubber lined slurry pumps produced by SME are qualified, reliable to the customers from all over the world. 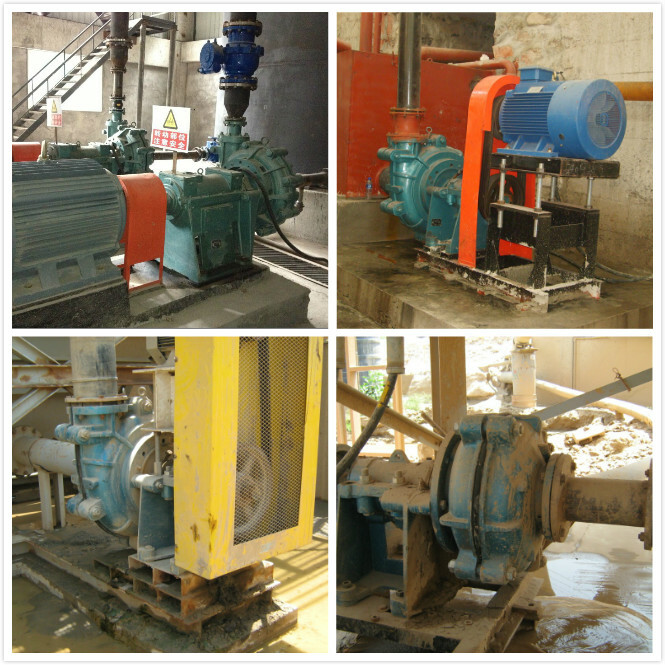 We have very successful cases with our customers using the rubber pumps SHR-100E and SHR-150E for quarries, and rubber pump SHR-40B, SHR-75C for gold separation plants. Although it is not a Local Pump, it can be used as Coal Washing Slurry Pump, Power Plant Slurry Pump, fly ash Slurry Pump etc. 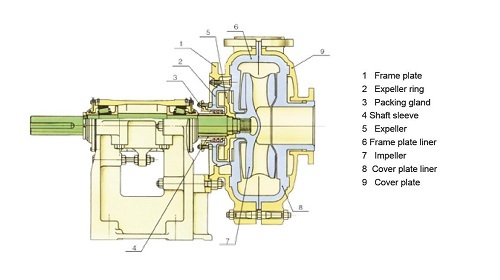 Besides the bare shaft rubber lined slurry pumps, we offer their components as Slurry Pump Parts, Rubber Pump Parts. Looking for ideal Weir Warman Quality Slurry Pumps Manufacturer & supplier ? We have a wide selection at great prices to help you get creative. All the Atlas Slurry Pumps are quality guaranteed. 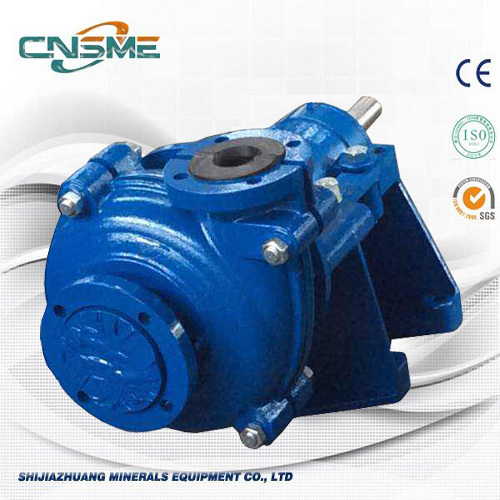 We are China Origin Factory of Mineral Sands Slurry Pumps. If you have any question, please feel free to contact us.